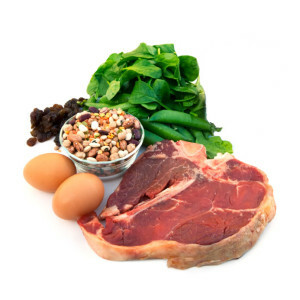 You need protein every day to help build muscles and enzymes that help your body function. Take our quiz to see if you are eating the right amount of protein! 1. How often do you eat meat, poultry, pork, eggs, or fish? 2. How often do you have dairy, soy, or rice milk, cottage cheese, yogurt, or cheese? 3. How often do you eat veggie burgers or vegetarian chicken patties? Never or hardly ever. If it's vegetarian, I don't eat it. 4. How often do you eat beans, lentils, nuts, or peanut or almond butter? 5. How often do you eat tempeh, tofu, or other soy products? Never or hardly ever. What's tempeh? I limit or cut out protein foods. I eat foods that have protein in them, but I don't try to eat tons. I try to eat a high protein diet by eating large servings of meat, drinking protein shakes, or by eating extra high protein foods.